What I learnt about Environmental Management Systems by riding a classic motorcycle over the Himalayas! Opportunity Knocks: Growth through Innovation. You don’t need to radically change your business to innovate; responding to customer’s requirements for Environmental Management Systems can be enough. I challenged those present to develop new processes & systems, to put the environment into the core of the business.  This is THE conference & exhibition to attend on environmental management, energy & resource efficiency. I chaired & presented at two sessions – Getting Boardroom Buy-In and the Energy Management Landscape. See my report here. I shared 3 learning points, relating to my career, making best use of networking & being a Green Biz Hero! Building a sustainable business – I spoke about how to identify risks & opportunities for your business. I was Master of Ceremonies for the Transform conference – an exciting event for IEMA members & other environmental professionals. Hosted by myself & Catalicity. Instead of your standard presentation on carbon footprinting, I shared a Hollywood saga of overcoming adversity & finding the magic solution to improve business & save the world! A lunchtime talk in Horsham for the Institute of Directors about my work in environmental management & riding in the Himalayas. We are now in Phase 2 of ESOS, the Energy Savings Opportunity Scheme, legislation that requires large companies to conduct mandatory energy audits. I delivered a webinar with Alfa Energy to get companies going with their ESOS preparation. As Chairman of GDB I make a regular address to the monthly Members’ Meeting, about GDB strategy, direction & key learning points from events.